"In the end, he sees everything." Directed by Omar Naim (Dead Awake, 2010) this film is set in the near future, where implants "Zoë Chips" have been in use for quite some time. The implants make it possible for a person to record every waking moment of their life, so that when they die a video can be put together for their eulogy. 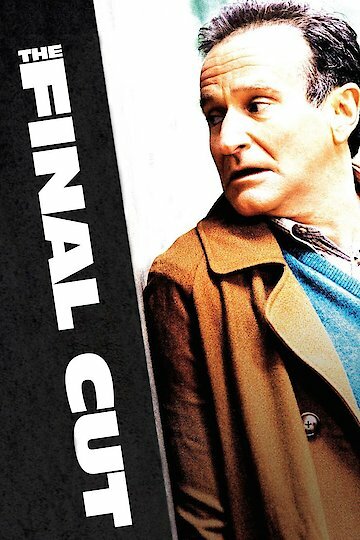 Alan Hakman (Robin Williams) is a "cutter", or rather an editor that takes a person life and condenses it into a video highlight of the positive sides of a person's life. He is excellent at what he does and has earned a reputation for making even the most dastardly person come across as an angel. Hakman has mastered the art of detachment, and can separate himself from some of the gruesomeness that he witnesses when editing these videos. However, this ability to detach has also garnered him trouble in his romantic relationships. He is involved in a rather tumultuous entanglement with Delila (played expertly by Mira Sorvino). Then, while editing the life of a recently deceased corporate executive, he believes that he sees someone from his past in the man's memories. Though usually able to remain unmoved by other's memories, he cannot let this haunting notion go. He submerges himself in discovering the truth and finds that uncovering the truth will be more dangerous than he thought. Hakman also comes to realize that Fletcher (Jim Caviezel), a former editor (ex cutter) has also been trying to get a hold of his most recent cut. But, Fletcher's motivations include a devious and menacing agenda. The film leaves you with much to ponder about the future, about the fine line between what should be kept private for all time, and what should be openly shared with the public. But, most of all, it leaves you wanting to take a leisurely trip down your own memory lane! The Final Cut is currently available to watch and stream, download, buy on demand at Amazon Prime, Starz, Amazon, Vudu, Google Play, iTunes, YouTube VOD online.